What is a limited liability company in Japan? The limited liability company (LLC), also knowns as the “godo gaisha”, is one of the preferred Japanese business forms where the shareholders have limited liability based on their contribution to the capital. The LLC in Japan replaces the former yugen gaisha and falls under the 2006 New Companies Act. Below, our Japan company formation advisors explain how to set up an LLC. What are the characteristics of an LLC in Japan? The LLC’s participants are called ‘’members’’ unlike the investors of a joint stock company, called “shareholders”. The Japanese Companies Law does not impose any share capital requirements to set up an LLC, however, the members can only contribute to the capital in cash or kind, and not in services. The members choose a manager to act in the name of the company and their interests. This manager may be a natural person or a corporate body. If a corporate body is elected as a manager, it must appoint a functional manager to act in the name of the company. The calendar year and penalties apply to those taxpayers who fail to comply with the requirements for submitting the tax payments and tax returns. - another requirement is for the company to have a unique name which must be reserved prior to starting the registration procedure. Our company registration consultants in Japan can offer detailed information on the requirements related to starting an LLC in this country. What is the incorporation procedure of an LLC in Japan? The procedure of incorporation of a limited liability company in Japan starts with making a company seal. Also, the representative manager must register for the personal seal, then receive a certificate of seal registration for it. 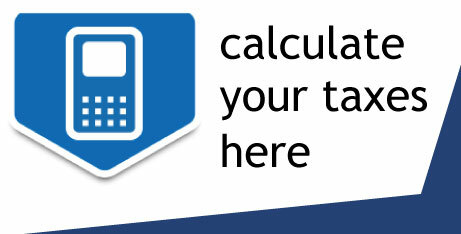 ⁻ information about the authorized capital and details regarding the distribution of the shares. Also, a list of all the members which made contributions in non-cash and the value of it must be provided by the Articles. If the above documents are accepted, the certificate of seal registration must be then delivered to the Legal Affairs Bureau in order to register the newly formed company. The next steps are submitting the following notification to the District Tax Office: the notification of the company registration (no longer than two months since the incorporation), the notification of opening a payroll office (no longer than a month from opening it) and the request for approval of blue tax returns (no longer than three months from registration). The local tax office must also be notified regarding the starting the business, no later than 15 days. In case you are interested in investing in Labuan, our team of formation agents can put you in contact with our Malaysian partners. If the limited liability company opened in Japan will hire personnel, it must register at the Labor Standards Inspection Office for the labor insurance. Also, a notification must be sent to the Social Insurance Office, so the company is registered for health insurance and public welfare pension. The last step in establishing a limited liability company in Japan is submitting an application to the Public Employment Security Office no longer than 10 days from beginning to employ personnel. Limited liability companies in Japan are taxed at the usual corporate income tax rate of 23.4% for corporations with a share capital over 100 million JPY. 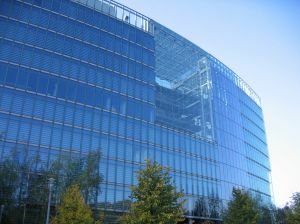 Companies are also subject to various other taxes such as the local inhabitant's tax (that varies according to the size of the company and its location), withholding taxes on dividends, royalties and interest, the enterprise tax (which also varies), the real estate taxes and the stamp duty. Japan imposes a consumption tax which is similar to the value added tax. This is levied on the supply of goods and services and the sale of the lease of some assets. Our Japan company formation agents can give you further details on this tax and the needed registration process for limited liability companies. The Japanese Accounting Standards (Japanese GAAP) are used for all accounting, filing and auditing purposes. The tax year in Japan is the same as the calendar year and penalties apply to those taxpayers who fail to comply with the requirements for submitting the tax payments and tax returns. the LLC can also be used as a ready-made company for those seeking to buy shelf companies in Japan. We can help foreign clients interested in buying shelf companies registered as limited liability companies in Japan. How long does it take to register an LLC in Japan? 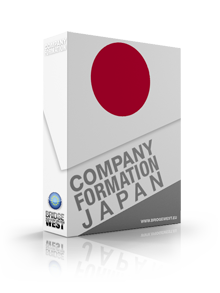 The company formation process of a Japanese limited liability company can be broken down in several procedures. These procedures imply the trade name reservation which does not take more than 1 day. 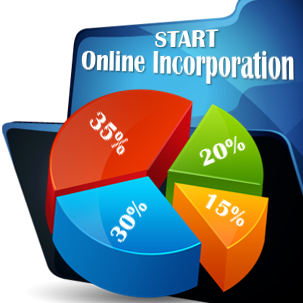 Then, the preparation of the company’s incorporation documents takes approximately 2 days. The time between the filing of the company’s statutory documents and the issuance of the certificate of registration by the Japanese Companies Registrar takes approximately 3 days. The procedure related to opening the LLC will also imply opening the corporate bank account which takes 1 day and making a company seal which takes around 3 days to complete. The registration for taxation and employment purposes will also take 2 days. With respect to the costs associated with opening an LLC in Japan, these are quite low compared to other neighboring countries. Our company registration representatives in Japan can explain the cost of each operation related to setting up an LLC. 1. Do I need a resident director for the LLC in Japan? Yes, the law requires the company to have at least one resident director. However, nominee services can be used. 2. Are there any other requirements related to the share capital of the Japan LLC? Yes, the authorities require the shareholders to increase the share capital of the company to 3 million JPY (approximately 40, 000 USD) within 5 years. 3. Does the company need a local address? Yes, a Japanese limited liability company must have a local address. Here too we can assist with virtual office services. 4. What types of activities can I complete through an LLC in Japan? One of the greatest advantages of the LLC is that there are no limitations on the activities foreign investors can carry out through it in Japan. 5. How long does it take to register an LLC in Japan? The registration procedure of an LLC can take up to one month in Japan. As you can observe, there are several steps that must be followed in order to start such a company in Japan. Our team of company registration agents in Japan is ready to help businessmen through the entire process of registering an LLC in this country. Please contact our team for a customized offer. In case you are interested in opening an LLC company in another country, for example in Switzerland, our team can put you in contact with our Swiss partners.